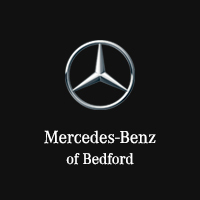 Keep the experience genuine by purchasing from Mercedes-Benz of Bedford. When it comes toe everything from insights to installations, no one knows your vehicle of Genuine Mercedes-Benz Accessories better than an authorized dealer. Contact yours today. Designed to complement, not complicate. From fully integrated telematics on a multifunction steering wheel to quick-fitting roof- mounted carrier systems and more, Genuine Mercedes-Benz Accessories are made with impressive functional solutions in mind. The integrity you’ve come to expect. Stringent safety measures and extensive load testing including the use of crash test facilities and the wind tunnel – help ensure the Genuine Mercedes-Benz Accessories are as safe as possible. Crafted for your Mercedes-Benz by Mercedes-Benz. In accordance with our vehicle design philosophy and using exclusive data specific to each model, Genuine Mercedes-Benz Accessories are a precise fit each and every time. Looking for the perfect accessory for your Mercedes-Benz? Discover the Star! If you own or lease a MY08+ C-Class Sedan, MY12+ C-Class Coupe, MY14+ E-Class Sedan and Wagon, MY10+ E-Class Coupe, MY11+ E-Class Cab, MY08+ CLS, MY10+ GLK, MY12+ M-Class, MY13+ GL-Class, you can have the Illuminated Star installed now. But other models will be offered soon, so ask your dealer to let you know when it’s available for your vehicle.